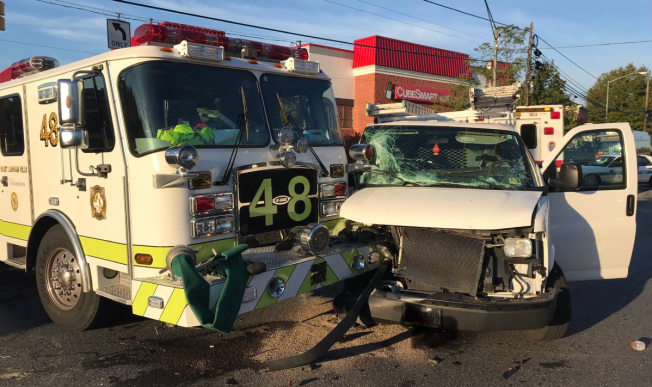 Three firefighters were taken to the hospital Wednesday morning after their firetruck was involved in a crash with a van in Lanham, Maryland. The crash happened at Forbes Boulevard and Annapolis Road. It's not clear what led to the crash, but a photo from the scene shows the firetruck and a heavily damaged work van. Fire officials say three firefighters were taken to the hospital for an evaluation. No other injuries were reported.